As you know, the Supreme Executive Committee has declared that the final battle for the Golden Halo will take place tomorrow on Spy Wednesday. Several of you have asked us about this unusual name for the Wednesday in Holy Week. Ever willing to educate and inspire, we are only too happy to oblige. Spy Wednesday gets its name because this is the day on which Judas betrayed Jesus to the Sanhedrin. Because Judas is thought to be sneaky, his actions conjured up the image of a spy. The synoptic gospels all include an account of the betrayal — Matthew 26:12-14, Mark 14:10-12, Luke 22:3-6. The illustration above evocatively depicts this infamous scene. If you go to Holy Eucharist every day of Holy Week, the Gospel readings provide the narrative of Jesus’ final days, an ever-quickening story that spins out of control and finally brings us to Good Friday. 23 Comments to "What is Spy Wednesday?" Ah, Dawn Breaks over Marble Head! Ah hah! I thought it would be the day that the SEC informed us of methods used to uncover voter fraud! Now I can go to Tenebrae tomorrow and not wonder about this, focus on the service instead. Also thinking that Judas is not the only one who betrays Jesus during Holy Week. Peter denies him three times. Yes you’re right ! But unlike Judas, he lived to regret it. Hmmm. I think Judas lived to regret it, didn’t he try to return the money and hang himself? Good point. He obviously regretted it, as evidenced by him hanging himself! Not to mention the numbers of times we betray Jesus every day! “I stand all amazed at the love Jesus offers me. “Confused at the grace that so fully He proffers me. 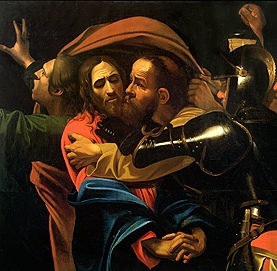 That for me, a sinner, He suffered, He bled and died”………..
It’s somewhat surprising to learn that many people don’t know or connect the dots about the connection between Judas’ betrayal and Spy Wednesday. It’s also important to remember that there was actually mercy for Judas. When consigned to Purgatory, he awaited Jesus’ descent there for the waiting period to receive the kiss that would, in essence, provide forgiveness by the very One whose death was set in motion by his betrayal. The SEC has done a fabulous job in educating LentMadness participants about Easter, before, during, and beyond. We all owe the good Padres Gunn and Schenck and their authors many thanks. Yes, there is mercy for Judas. And for all of us, the living and the dead. You have done an outstanding job this year in educating me about so many people that I know little or nothing about before. I have been inspired by the examples set by many of them. I have “Googled” to read more and gain insights into these people. Thank for all of your efforts to make Lent and engaging, learning experience. I look forward to next year. Very well stated. Thank you and the whole Executive Supreme Committee (Scott and you) for a fun way to learn some new things about people who have had an impact on this Church we all love. Good job. Thanks again. I really enjoy the services if Holy Week rather than the entire story on Palm Sunday. Heading to evening Eucharist just a bit. Thanks too for the time the Supreme Committee and others devote to Lent Madness. It is a great way to learn about such interesting saints of the faith. Ya done good Guys! Kudos!! To be specific! 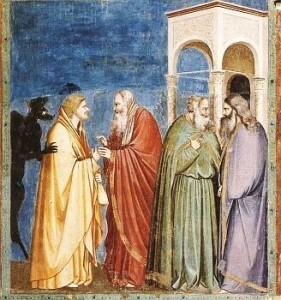 !…Jesus meeting Judas in the underworld and saying let’s get the hell out of here……good one! I’ve been an Episcopalian for 25 years, been a member of five parishes, and I’ve never heard of Spy Wednesday. The concept must not have drifted this far south. I’m glad to know about it, though! So, I have a mile-wide soft spot for Judas. My job is a grade-school Bible teacher, so its fun to teach the kids about SPY WEDNESDAY — they certainly want to hear about it!!! Thanks, SEC, for all your work to enlighten the current saints about saints past. We are all in your debt! !